It has now been 52 years since England won their only World Cup trophy so far, and the team have been pretty disappointing since, only reaching the semi-finals at the 1990 tournament in Italy. 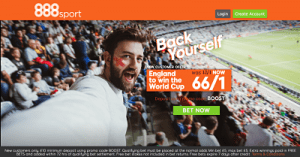 Following the disappointing group stage exit at the Euro 2016, the fans are not too optimistic about team’s chances in Russia, but there are still quite a few of those who will jump at the opportunity to back the Three Lions at 66/1 special price. In order to qualify, you need to register through this link with promo code BOOST. New customers only. £10 minimum deposit. 18+. Min bet £5, max bet £5. Qualifying bet must be placed at normal odds. Extra winnings paid in free bets. Terms and conditions apply.